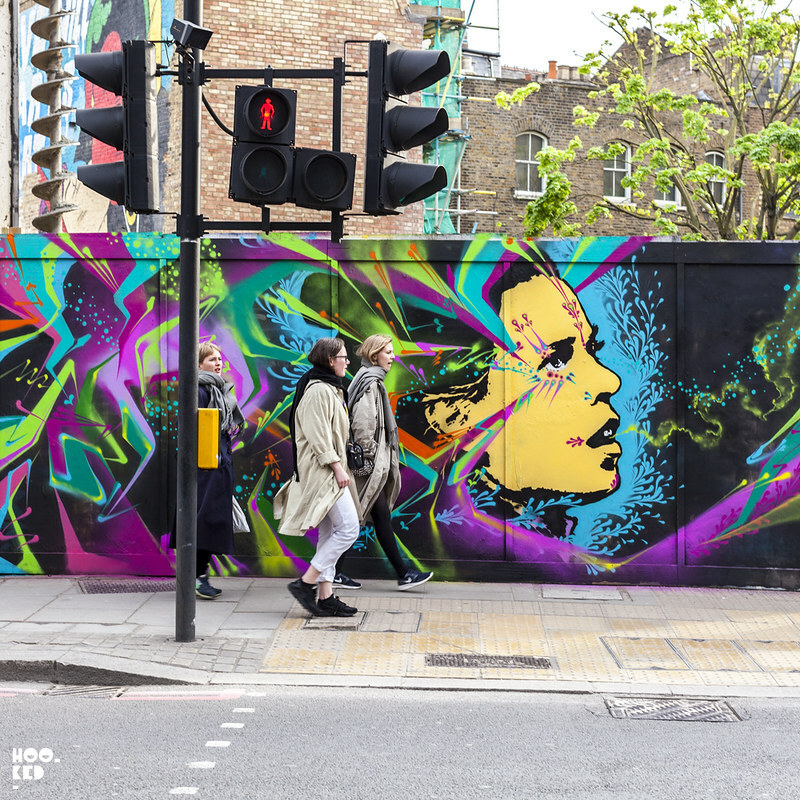 This September sees the return of Colombian street artist Stinkfish to London. 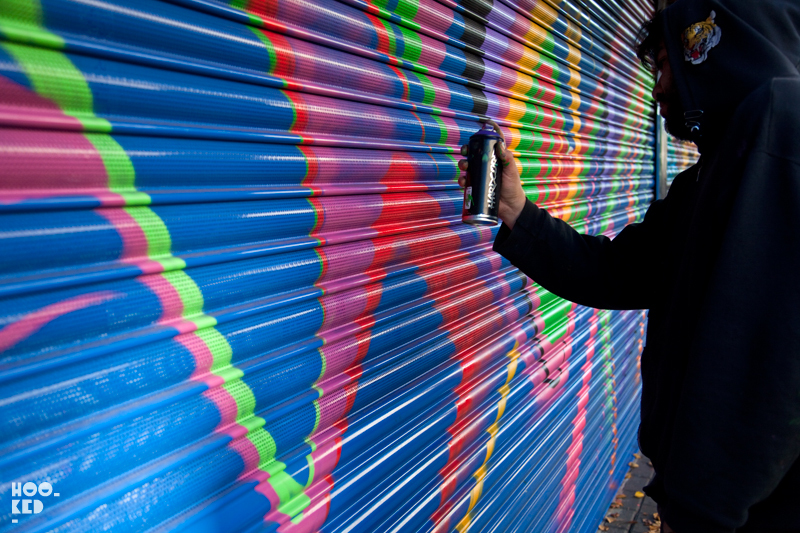 The Bogotá based artist has been a regular visitor to city making the trip to London about once a year and leaving his mark on each occasion. We have featured Stinkfish on Hookedblog many time since his early visits back in 2011. Some of his previous trips have seen Stinkfish paint a number of roller shutter across East London (Previously on Hookedblog), a roof top piece in Old Street on the roof of the Foundry Building or Red Gallery as it is now known (Previously on Hookedblog), a number of murals both here in London and Bristol (Previously on Hookedblog) along with some yarn bombing / pasteup collaborative works with artist VillianArt (Previously on Hookedblog). We are looking forward to the artists return to London next month for his upcoming solo show 'Portraits in Transit' with Dalston based gallery BSMT Space and prehaps he will have time on this visit to leave his mark on the streets of London once again. Stinkfish considers himself a 'Graffitist' — his life revolves around graffiti and its principles of independence, anonymity, freedom and illegality. Painting with conviction without permission! 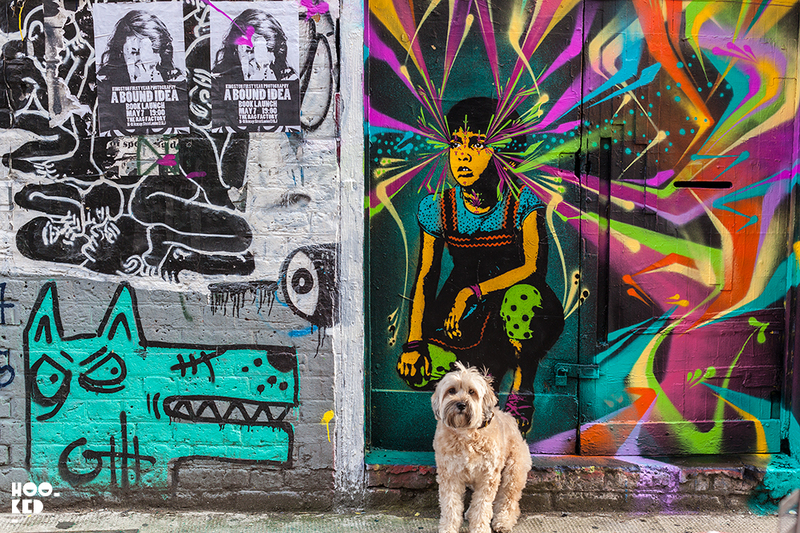 The street is important to Stinkfish, he sees the common neighbourhoods and free spaces as an opportunity for people to politicise and observe at the same level. 'Portraits in Transit' is a story of the journey of his work, portraits that come from the street and transcend these spaces to return to the street. They are ordinary people captured by photograph, their image translated into his signature bright colour palette and re-imagined in a new context. 'Portraits in Transit' will run at the gallery from September 22nd to October 8th, with a private view on September 21st, 6pm. Should you wish to attend the show's private view please get in touch with the gallery by RSVPing: info@bsmt.co.uk. BSMT SPACE, 5d Stoke Newington Rd, London, N168BH. 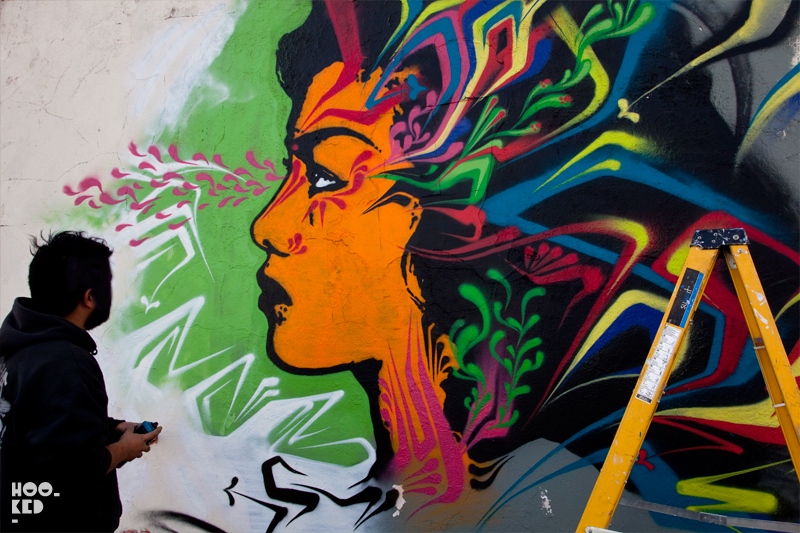 Colombian Street Artist Stinkfish hits the Streets. Stinkfish — Colourful Street Artist hits Bristo, UK. Stinkfish x Villainaart Yarn Bombing / Pasteup London Collaboration.